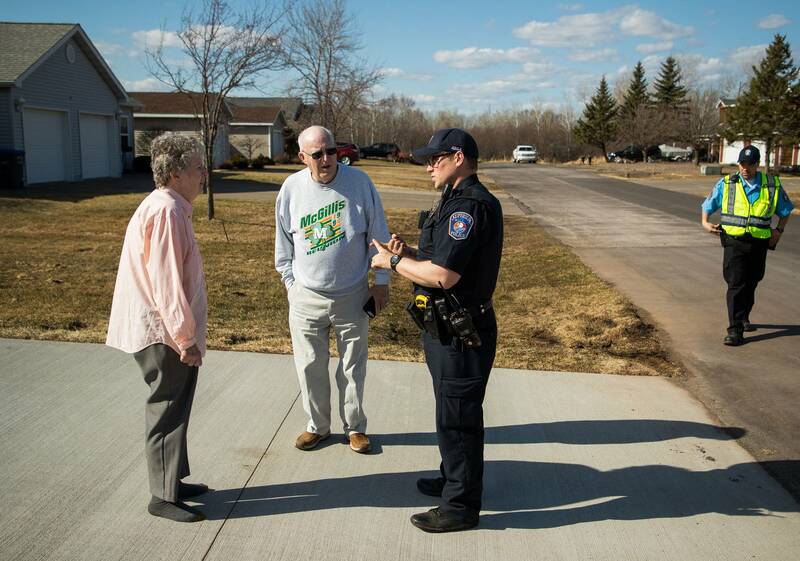 Listen MPR's Tim Nelson reports: What happens next? 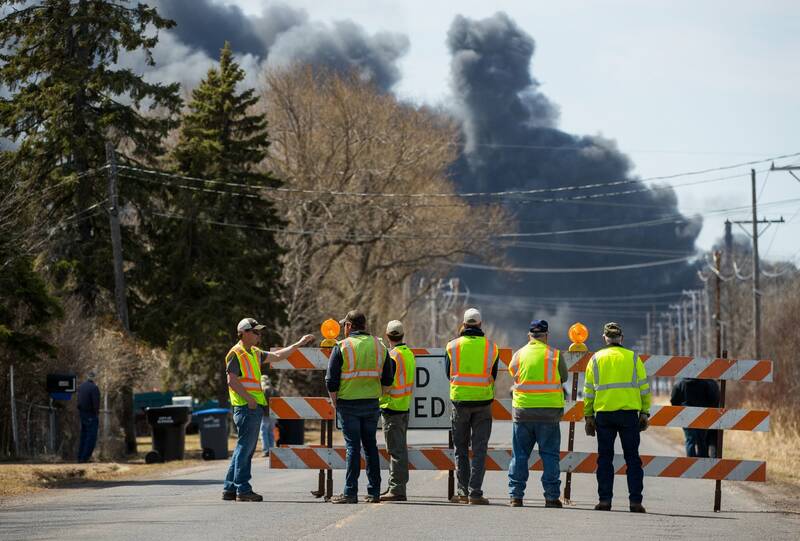 Updated: 1:06 p.m. | Posted: 6:44 a.m.
An evacuation order was lifted in Superior, Wis. following a refinery plant explosion that injured at least 20 people and sent billowing plumes of noxious smoke into the air, which federal officials said tested safe Friday. "All indications are that the refinery site is safe and stable and the air quality is clean and normal," Superior Mayor Jim Paine wrote on Facebook. He lifted the mandatory evacuation order at 6 a.m.
"We found consistent low trace levels well below any health standards virtually everywhere that we went for volatile chemicals, particulates and dust, the kinds of things that can adhere to smoke," Morrison said. While the cause of the initial explosion at Husky Energy oil refinery remained unclear Friday, officials clarified how it caused a fire and a subsequent leak of flammable liquid that kept firefighters largely at bay Thursday evening and a mandatory evacuation in place until Friday morning for this harbor city of 27,000 residents that shares a Lake Superior shipping port with nearby Duluth, Minn.
Husky Energy refinery manager Kollin Schade initially said Thursday afternoon that the first explosion happened in a catalytic cracking area of the refinery. That's part of the refining process when gasoline and other petroleum products are extracted from crude oil. However, on Friday he backed off of that statement and said the company doesn't yet know what caused the explosion. But that explosion may have hurled debris and punctured another tank filled with asphalt. The tank gushed asphalt, caught fire and burned so hot authorities let it burn before it was put out just before 7 p.m. In addition, a valve or pipe broke, spilled an unidentified flammable liquid in the area and also caught fire, said Superior Fire battalion chief Scott Gordon. That fire burned overnight as fire crews sprayed foam to contain the spill. Most of the firefighting effort was trained on keeping a tank filled with hydrogen fluoride cool as they sprayed water on it, Gordon said. "The challenge with this fire, everything that's around this fire, the refinery is a very involved business, it's not just what's burning, the asphalt, it's what's around it, there's a lot of heat," he said. "It's not like fighting a structure fire." The series of fires and explosions forced the evacuation of a 3-mile radius around the refinery, as well as a 10-mile corridor south of it where the smoke was heading. Schools in Superior and nearby Maple, Wis., canceled classes Friday as a precaution. Essentia Health staff cared for a total of 16 patients Thursday. One man, who suffered a blast injury, was admitted to St. Mary's Medical Center and is listed in good condition. St. Luke's Hospital in Duluth also treated four injuries, all have been treated and released according to a hospital spokesperson. Evacuees were sent to the Duluth Entertainment Convention Center, where cots and food were provided. It was unclear how many residents and others were impacted but most were back in their homes by Friday. 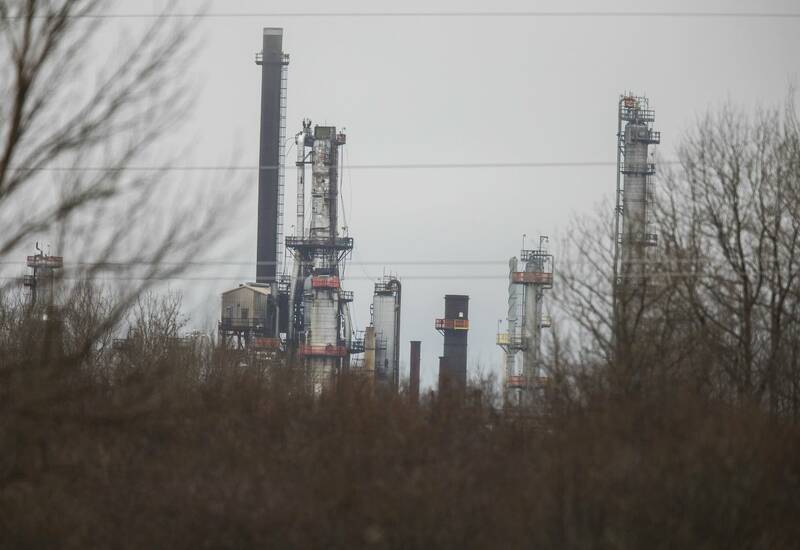 Officials said crews were on site to begin a five-week turnaround, routine cleanup of the refinery Thursday. Some crew members staying at a local hotel said they had not yet started their work and were in on a break in explosion-proof bunkers during the initial explosion. Crews were from Missouri, Texas and Oklahoma. On Friday, Superior Fire Chief Steve Panger said fire crews cleared the scene at 8:15 a.m. and will work to ensure hot materials won't cause further problems at the site. "The area is still very hot, there's still a lot of heat in the product," Panger said, "so they will be there for quite some time yet commencing on those operations as far as mop-up and cooling down of the product." Kara Tudor, 30, and Julia Johnson, 27, live about 2 miles from the refinery and were among those ordered out. They quickly scooped up their two dogs and three cats, grabbed their toothbrushes and drove to a friend's house in Duluth, where they were watched the news for updates. National Weather Service radar showed the smoke plume extending south-southeast, taking it into sparsely populated areas. The weather service said winds were expected to weaken Thursday evening and eventually shift toward Lake Superior. It said the smoke probably would not affect Duluth. 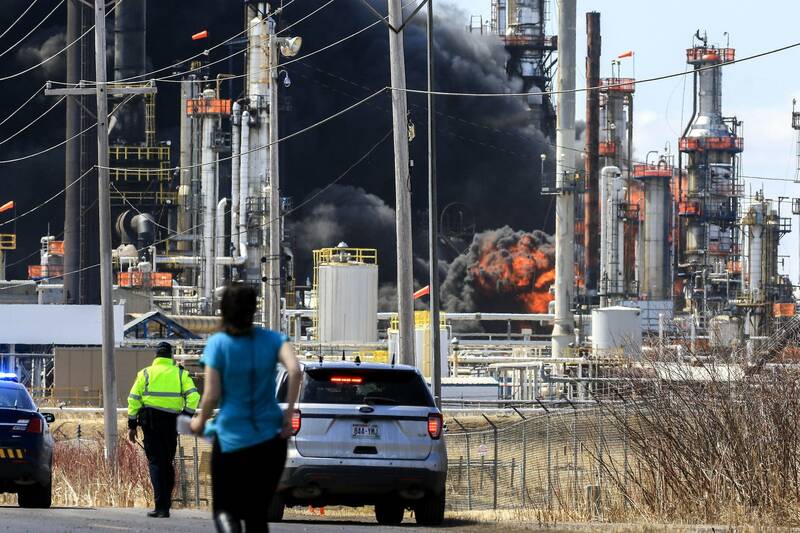 Authorities say they expected to get into the refinery site Friday and see what it looks like. Schade, the refinery's manager, said now the hard work begins. "There's still a lot of work to do, from the refinery's standpoint," he said. "And all the local regulatory agencies to work collaboratively exactly why this happened, and why we displaced our neighbors." Investigators from the Occupational Safety and Health Administration were also on site. They will look for workplace violations.